About three years ago, I wrote an article titled “9 Unbiblical Statements That Christians Believe,” and it really struck a nerve with people. Many Christian online publications picked it up to share with their audiences, and it was one of the “most read articles of the year” on several of those sites. Now, I don’t mean to communicate that for prideful reasons, but rather, to point out that it’s obvious that we’ve all heard these one-liner statements and we’ve also realized that they’re not in line with what the Scriptures teach. Sadly, the list doesn’t stop with just nine of these unbiblical statements. There are many of them that are cultural teachings and spiritual sounding clichés that have snuck into the Church, got baptized and then joined the ranks of our jargon. We’ll hear someone quote a statement that sounds nice to us, and we’ll begin repeating it as though it’s biblical truth without ever researching it in the Scriptures. “What’s the big deal?” you may say. The big deal is that these statements tend to deeply affect our thinking and actions when we have forgotten what the Bible actually teaches. Not only are the statements unbiblical; most of them teach the opposite of what the Bible teaches. The devil is in Hell. The devil is not a little red man with a pointed tail holding a pitchfork while ruling Hell. Hell will be his home eventually in the last judgment: “And the devil who had deceived them was thrown into the lake of fire and sulfur where the beast and the false prophet were, and they will be tormented day and night forever and ever” (Revelation 20:10). However, he is not there yet. Where is he? “Be sober-minded; be watchful. Your adversary the devil prowls around like a roaring lion, seeking someone to devour” (1 Peter 5:8). He is here, not there. If you’re a Christian, you and God are not equal partners sharing the control of your life. “God is my co-pilot” may be on a bumper sticker, but it’s not in the Bible. In fact, John the Baptist said, “He must increase, but I must decrease” (John 3:30). God is the pilot. He is the plane, He is the fuel that powers it and you are just along for the ride. However, He has given you a wonderful seat in first-class to watch the view of what He does with your life when you fully trust Him to be in control and to fly! He may not fly it the way you would have dreamed, but you can be certain that it will be a far better ride that you could have ever imagined. “Now to him who is able to do far more abundantly than all that we ask or think, according to the power at work within us” (Ephesians 3:30). We’ve seen it a thousand times. Especially when a celebrity athlete, musician or actor passes away. Immediately, there will be a barrage of memorial epitaphs on social media with the acronym R. I. P. Which, of course, means “Rest in Peace.” Now, we all know that no one can truly know what is in another person’s heart. It is very possible that particular celebrity did have a relationship with Jesus Christ as their Lord and Savior. However, I can think of times when an athlete has passed away that was a very outspoken follower of a religion other than Christianity, or a musician whose lifestyle was the opposite of what the Bible would describe as the characteristics of an authentic follower of Jesus, and yet, even from Christians the R. I. P. statements are ever-flowing. Nevertheless, according to the Bible, the only ones who will get to “Rest in Peace” are those who have a very real and authentic relationship with the Prince of Peace. “Jesus said to him, “I am the way, and the truth, and the life. No one comes to the Father except through me” (John 14:6). Hinduism, Buddhism, Islam, Christianity and 4,200 other world religions are all basically the same? As is readily apparent, all of these religions have plenty of differences in their teachings. How can they all be true if they all contradict one another? In fact, biblical Christianity teaches the exact opposite of all of these other major religions. Unlike all other religions, Christianity teaches that we don’t have to try to reach up to for salvation by keeping rules, ordinances or other good works. Instead of us reaching up to Him, God Himself reached down to us. In other words, mankind can be saved by a good work … just not ours but rather the good work of Jesus on our behalf. “For by grace you have been saved through faith. And this is not your own doing; it is the gift of God, not a result of works, so that no one may boast”(Ephesians 2:8 – 9). I should always follow my heart. Because of the above truths, Jesus had to give us a new heart at salvation. “And I will give you a new heart, and a new spirit I will put within you. And I will remove the heart of stone from your flesh and give you a heart of flesh” (Ezekiel 36:26). Don’t follow your heart; follow Jesus. Follow His Word, and His Holy Spirit that has been given to us as believers. The fact that many of us Christians believe these unbiblical statements shows our unfortunate overall biblical illiteracy. 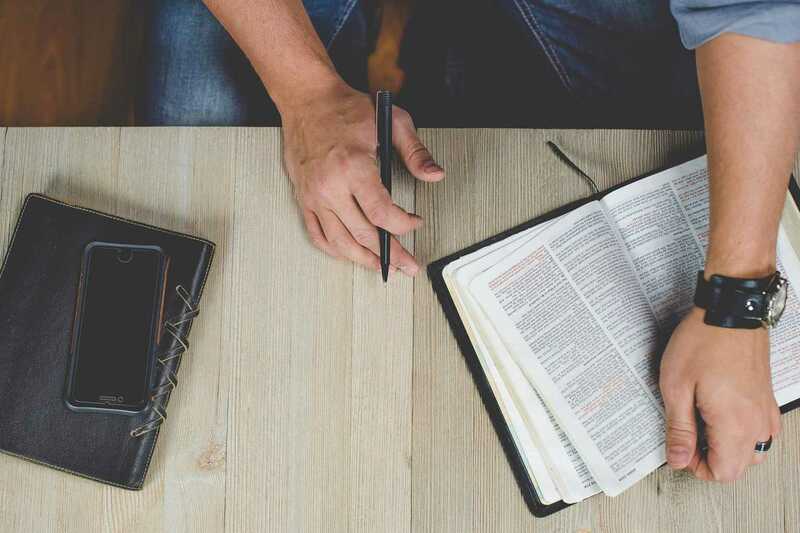 Instead of accepting what we hear others say as “gospel-truth.” let’s actually run to where the truth and the Gospel are actually found: the Scriptures. After all, the most effective way to move forward in freedom is to return back to the basics of who God is and dive deeply into His Word. “All Scripture is breathed out by God and profitable for teaching, for reproof, for correction, and for training in righteousness” (2 Timothy 3:16). What are some more unbiblical statements that you’ve heard Christians commonly use? Feel free to add to this list by commenting below! Pre-order my new book, 9 Common Lies Christians Believe: And Why God’s Truth is Infinitely Better on Amazon, Barnes & Noble, ChristianBook.com, Books-A-Million, or Google Play.